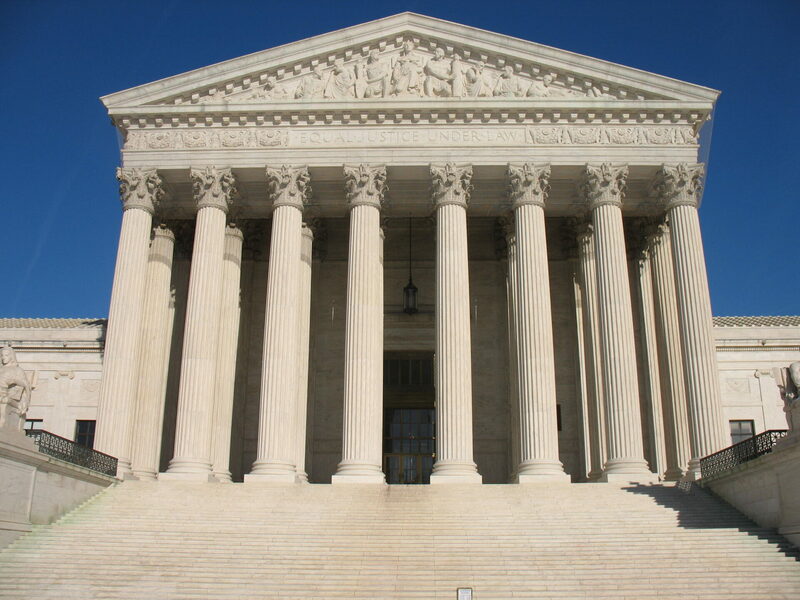 The Supreme Court surprised the sports world on Monday when it handed down its ruling regarding the Professional and Amateur Sports Protection Act of 1992. Prior to the ruling, the Act was what made gambling on sports illegal (with a couple exceptions) in the United States. However, with the Court’s 6-3 ruling, the Act has been deemed unconstitutional. States are now free to decide for themselves if they want to legalize sports gambling. It was a costly six-year fight between the federal government and the state of New Jersey. But it worked. Well, bookies around the country still can’t suddenly ‘go legit.’ States will still have to enact their own laws setting the parameters for what will now be legal sports betting. New Jersey, having led the charge, is expected to get something on the books first. But Delaware, Mississippi, New York, Pennsylvania and West Virginia are expected to follow suit soon after. Some states may have to wait a little longer to get something done, but in the end, upwards of 40 states are expected to legalize sports gambling within the next two years. Why wouldn’t they? Lotteries reported sales of $70.1 billion in 2014. That’s a lot of money for states to tax which states could certainly use. By some estimates, the illegal gambling industry has done around $400 billion in business every year. No matter how they decided to tax it, that is going to amount to a lot of money many states could really use. But the states are not the only winners here. If you want to believe what Mark Cuban says, the rich are now going to be even richer. He thinks team values are going to double. Sports data companies are likely going to be in high demand since gamblers will be looking for any information the can get to give them an edge. Then there are the legal bookmakers, gambling companies, and the betting public. More people may be apt to try their hand at gambling since it will be legal. To do so, they’ll be looking to place their bet with one of the leaders in the industry like MGM, Boyd Gaming, and Caesars Entertainment. This is not to say that illegal gambling is going to go away. It may be mitigated somewhat, but there will still be people looking to place wagers on credit who will need their friendly neighborhood illegal bookie to do so. Perhaps two of the biggest winners in the whole fight is DraftKings and FanDuel. The daily fantasy sports companies have struggled with the perception that their games are akin to gambling. This has made them illegal in several states. But now that gambling will soon not be illegal, it doesn’t matter what someone’s perception is of daily fantasy sports. Let’s not forget technology. Twitter is going to see an uptick in usage. Consumers already rely on it to deliver news in an expedited manner. With gambling becoming legal, Twitter will likely look into how it can get a piece of the action as an information conduit. Since Americans love the convenience, app developers are likely going to be very busy. Lots of people could have an interest in gambling. But if it requires them to go somewhere or even call someone, they may lose interest. However, if all they have to do is open an app on their smartphones it is easier to see more people dabbling in gambling. Not everyone is a winner with this ruling. Illegal bookmakers are going to see a dip in their business and online sportsbooks may see a decline as well. The cost of regulating this new industry will likely be passed on to bettors. So, you could make a case for professional gamblers coming out on the losing side (to an extent). But the biggest loser is going to be the NCAA. It is hard to imagine professional players that could impact the outcome of a game being compromised. They’d be foolish to risk ending their careers just to win a bet. But in college, there will be guys willing to take $500 to fumble on the goal line. Of course, the first time the integrity of any game comes into question, the support for legalized gambling could disappear. As much as fans may want to bet, they don’t want anything impacting the game that shouldn’t.